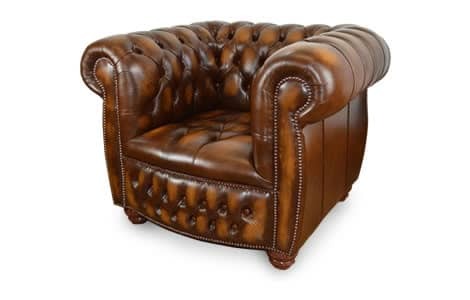 Add luxury to your home with the Balmoral Chesterfield Club Chair. This has been designed in house by our team of craftsmen for the most discerning customer. As with all our pieces, this chair can be manufactured from any of our extensive leather options. Complete with traditional button detail, choose from a range of leather styles and colours.